DOSmith Bike Racks Complies AS2890.3 Parking facilities - Bicycle parking facilities The Hoop bike rack is a simple and practical tubular design. This bicycle stand facilitates easy access for bikes and secures bicycle parking of all sizes. The Hoop bicycle stand is made from durable stainless steel and is suitable for all public areas including education facilities, shopping centres, railway and bus stations, and park and recreational areas. The Hoop bike rack is a simple and practical tubular design. This bicycle stand facilitates easy access for bikes and secures bicycle parking of all sizes. 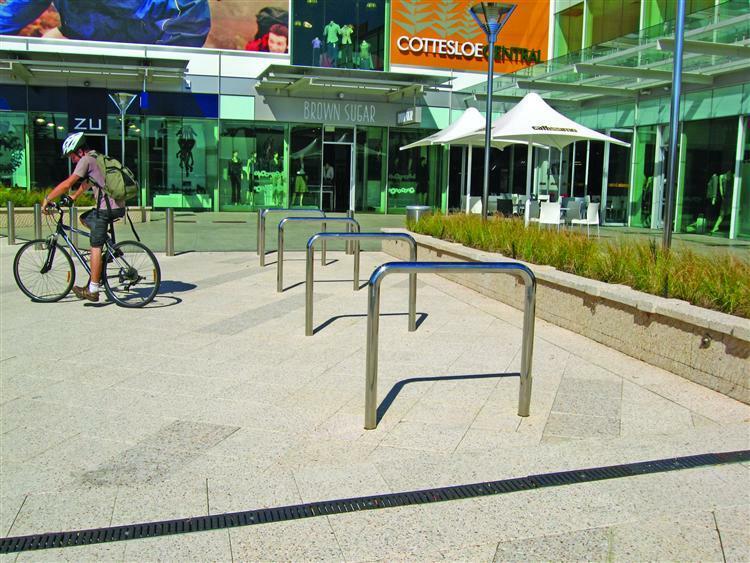 The Hoop bicycle stand is made from durable stainless steel and is suitable for all public areas including education facilities, shopping centres, railway and bus stations, and park and recreational areas. The Hoop Bike Rack is usually available ex stock and will be delivered within 7 working days from placement of order. Some options for the Hoop bike rack may affect lead times.